This is the fifth post in our Chakra Sunday series, previously we have covered the Root, Sacral, Solar Plexus and Heart Chakras. There is a saying in spiritual healing circles, “as above, so below.” What this means is that each chakra balances another. The power of the Throat Chakra comes directly from your third Chakra of Power. When you cannot speak your truth, you feel powerless. This fifth chakra is positioned at the point of the throat or the neck, and represents creativity and communication. Its color representation is blue. When it becomes imbalanced, the effects show up in a variety of ways, including talking excessively, arrogance, dishonesty, timidity, fear, and being manipulative. A person that has a balanced Throat Chakra is able to express themselves well and use this Chakra point as a crossroads between the heart and the head which serves as the negotiator between emotions and thoughts. Having an imbalanced Throat Chakra does not always mean that you are quiet, too scared to speak or stuck on words. It can sometimes mean the exact opposite of one that does not know when to be QUIET! On the physical level, the Throat Chakra is associated with the thyroid gland, teeth and gums, the jaw, hearing, and nasal passages. On the emotional level, imbalances may manifest as excessive shyness, poor listening, gossiping, or dominating conversation. On the mental level, someone with a Throat Chakra imbalance may have difficulty expressing themselves and communicating their needs or desires. 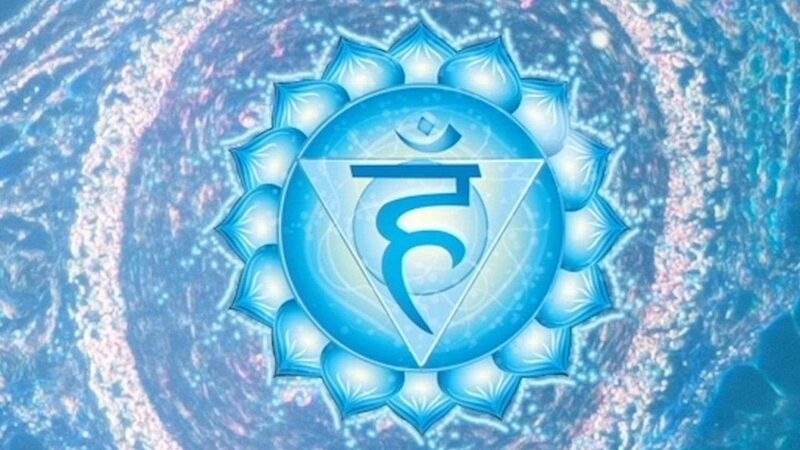 On the spiritual level, Throat Chakra issues may show up as blocked creativity, inability to sense subtle energies and disconnection from the divine and inner spirit. Having a healthy throat area, you carry truthful and honest expression of your ideas. The psychic gift of clairaudience is also governed by this area, as it covers the area of the ears and the throat. To help balance your Throat Chakra or keep it balanced, there are many modalities you can use. Laying a healing stone of blue color on your throat and taking deep breaths will help break blockages. Some stones recommended are Blue Lace Agate, Eilat Stone, Turquoise, Aqua Marine or Lapis Lazuli. Any soothing blue stones will work but try to begin with low energy stones first. Healing essentials oils are also a great help in breaking blockages and bringing your Throat Chakra into balance by rubbing a small amount on your throat and taking a few deep controlled and conscious breaths. Some suggested essential oils that will help are Geranium, Sage (a saging stick is also excellent for this), Frankincense or Jasmine. If you are knowledgeable on how to use a pendulum, this can also help breaking blocks in your throat area. A healer who does energetic Chakra balancing, is a great solution too as all Chakras would come into alignment with your Throat Chakra. Communication is one of the most precious gifts we have to interact with other sentient beings. That is why the energy of your throat is directly connected to your solar plexus of power. 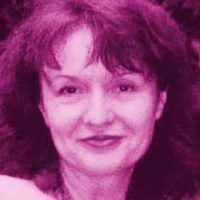 If you are unable to say what you mean, always say what you don’t mean or hide behind silence, your body will eventually lose strength in the throat area and physical problems will arise such as sore throats, laryngitis, strep throat or tumors along with emotional feelings of powerlessness. So, SPEAK your truth in light and love of self! O would like to speak on the point that was made regarding “talking to much” when spiritually your off. I experience this all the time. I grew up in a so called “spiritual” home. My mother was gifted read the tarot & she’s extremely clairovoyant. I’m gifted as well & always knew it on some level. My point was how it took me 44 years to figure out, I was a interssory prayer warrior, that when nervous, talking too much, babbling on, feeling uncomfortable, not knowing what’s right or wrong. That I am suppose to prayer, pray deeply, sincerely, give it all up to God. I found out may or maybe not know the reasons for feelings I have even the shear hopelessness, I mean extreme sadness, shame, too the nervous talking too much. I learned all Of can do is try to hide & stay home that day, pray, prayer, & pray some more. Til’ I pray whoever or whatever it is that needs help through. I feel I am rarely given any information at all. That is no matter, only that I earnestly & honestly pray in the fruits of the spirit. Would really love or appreciate any comments or feedback, and concerns you may have regarding my situation.. ? ? This post also goes right along with your empathy articles. I would like & need to learn much more. I am not able to deal with it sometimes, I hate being a basket case.